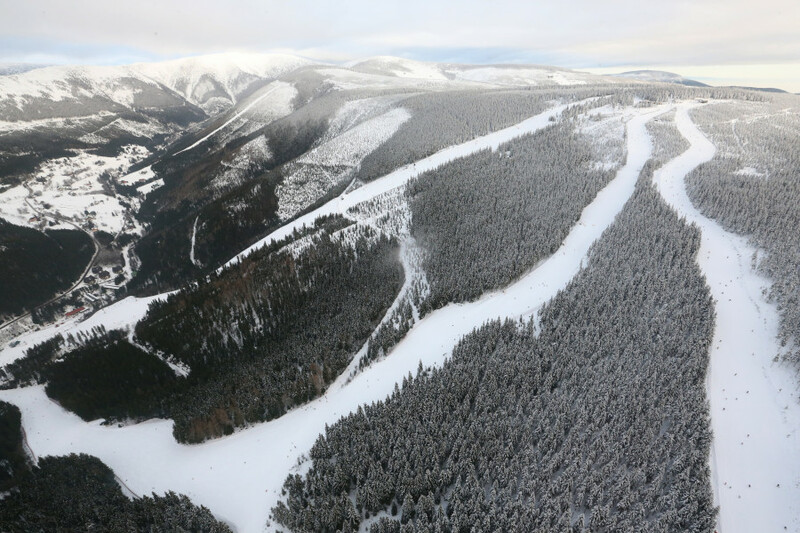 Elevated between 2303 ft and 4052 ft, the Ski Resort is among the 10 highest elevated Ski Resorts in the Czech Republic. The vertical drop from summit to base is 1749 ft. 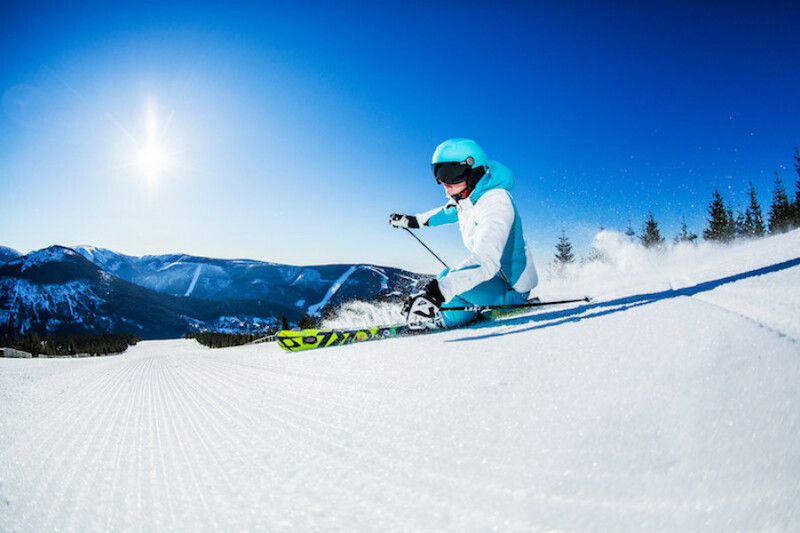 The average difference in altitude between base and summit of Ski Resorts in the Czech Republic is 823 ft. Most runs are therefore relatively long. 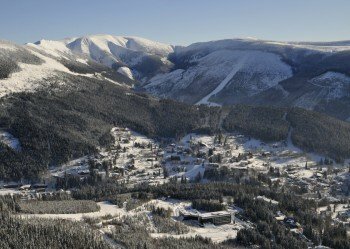 Spindleruv Mlyn (Spindlermühle) is among the 5 best rated Ski Resorts in the Czech Republic. Season starts on Dec 8 and ends on Apr 14 (127 days). Average season duration in the Czech Republic is 102 days. Average snow depth during the season (Dec 8 to Apr 14) is 25 " at summit elevation and 22 " at base elevation. Snow coverage is usually best during February, offering an average snow depth of 31 " at summit elevation and 27 " at the base. Therefore Spindleruv Mlyn (Spindlermühle) is among the 3 ski Resorts with best snow conditions in the Czech Republic. Spindleruv Mlyn (Spindlermühle) features 36 sunny days on average per season. 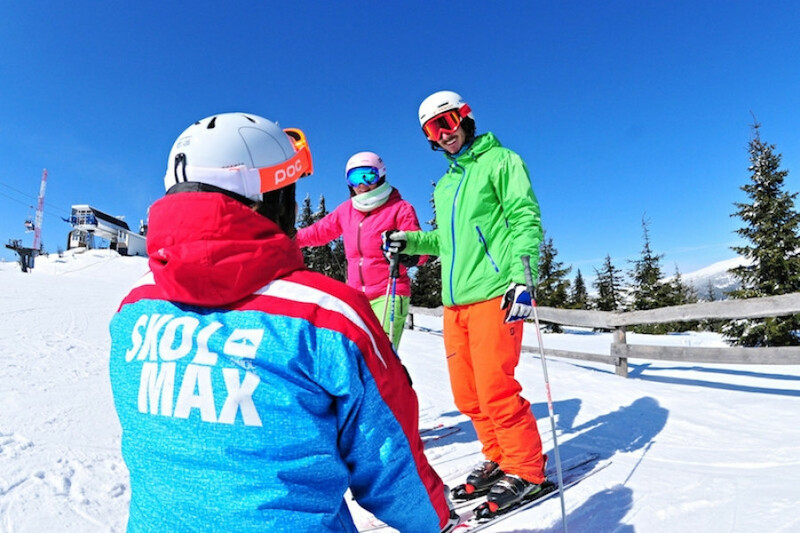 The average for all ski Resorts in the Czech Republic is 38 sunny days. February is the sunniest month with an average of 15 sunny days. Offering 16 miles of slopes and terrain, Spindleruv Mlyn (Spindlermühle) is among the 3 largest Ski Resorts in the Czech Republic. Tickets can be purchased online at www.gopass.cz. Advantages: Lower price, no need to wait long queues at the ticket office, loyalty program collecting points. In the midst of the Krkonoše, the Czech Republic’s highest mountain range, is the ski resort of Špindlerův Mlýn, which boasts almost 25 kilometres of runs. 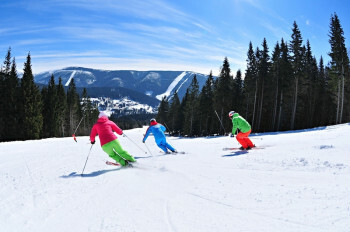 The ski area is made up of the sub-areas Svatý Petr, Hromovka, Medvědín, Horní Mísečky and Labaská, which are all interconnected by a free ski bus service. The broad 7.3 kilometre blue-marked groomers here are particularly well suited to beginners. If you are already more confident on your skis then you can explore 14.1 kilometres of intermediate trails, while advanced skiers can look forward to 3.2 kilometres of black-marked runs. 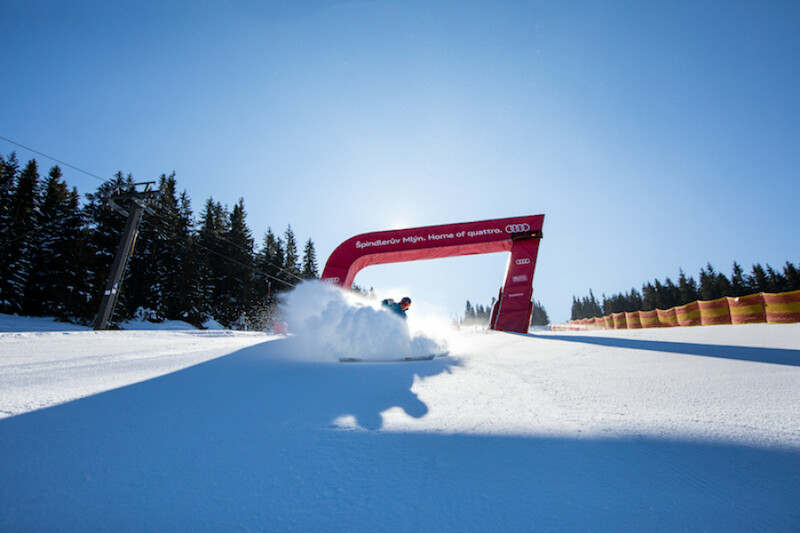 Around 85 percent of these beautifully-groomed, varied runs can also be prepared with snow-making equipment, ensuring that on-piste conditions are ideal throughout the winter. 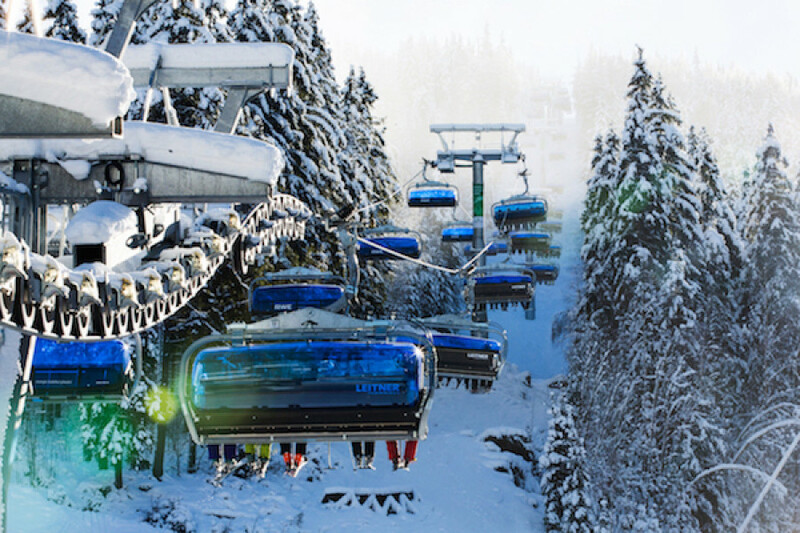 16 lifts carry skiers and snowboarders up to an altitude of 1,235 m, offering up an outstanding view over the peaks of the Krkonoše mountains. The Funtrack Hromovka is the place where freestyle fans can get their adrenaline fix, with various features to try out and explore. In addition, Svatý Petr is home to the Czech Republic’s largest halfpipe. There are four children’s areas spread across the ski area where young guests can learn the ropes in fun surroundings. 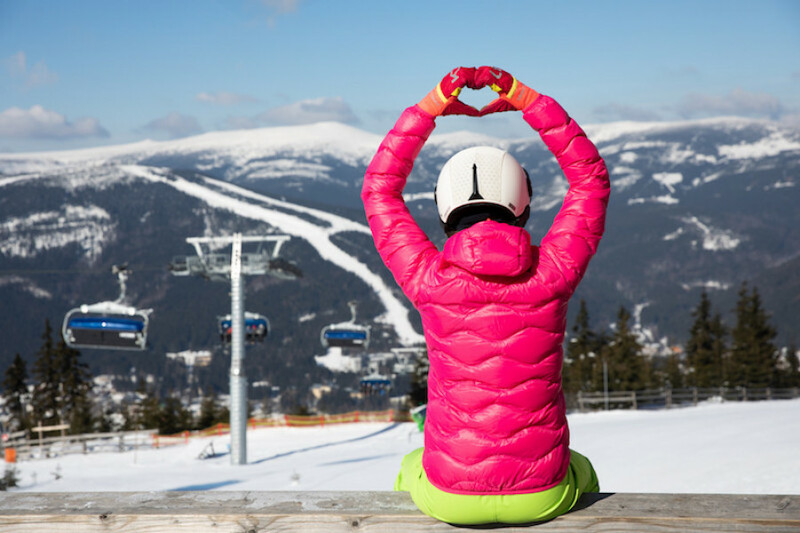 Professional instructors are on hand from three local ski schools to help them on their way, while specially-designed magic carpet lifts carry the youngsters safely and conveniently up the hill. There are various mountain restaurants in Špindlerův Mlýn serving food and drink. The restaurantNa Pláni serves good food accompanied by incredible views in a contemporary atmosphere. We can also recommend the restaurant Svatý Petr if you are after regional specialities. Off-piste, cross-country fans will find plenty of terrain to explore here. Around 125 kilometres of cross-country trails wind through the snowy backcountry, also making it an ideal region to explore on foot. You can round out a great day on the slopes with some après-ski fun after the mountain closes. Various bars in the area are geared towards this crowd, such as the bar on Hromovka as well as the bar on Svatý Petr. 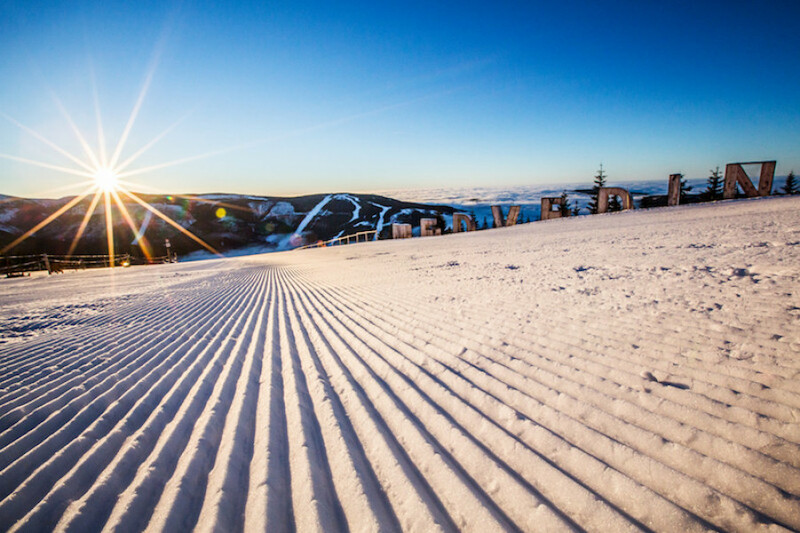 By car: This ski area in the north-east of the Czech Republic is around 150 kilometres from the capital Prague. The recommended route involves following the B10 to Turnov and then switching onto the B283. After that, turn onto the B12 to Vrchlabí after Jilemnice. Then continue onto the B295, which leads directly to the ski area. You can leave your vehicle in the free parking in the valley. By plane: Prague Airport is around 150 kilometres from the ski area.